When Will Hollywood Let Trans Actresses Play Trans Characters? Following his Oscar win for The Theory Of Everything, where he portrays the world-famous Stephen Hawking, it has been revealed that actor Eddie Redmayne will be re-creating another incredible life. The life in question belongs to Lili Elbe, the first known transgender woman to transition with surgery. 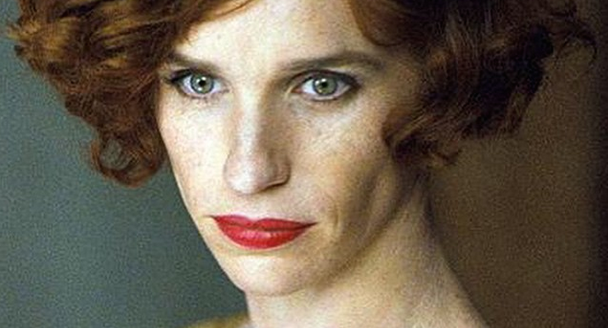 In today’s media-hungry economy, rumors of casting always run wild, but this final confirmation of Redmayne’s casting puts him alongside Hollywood and its trans erasure problem. Some will argue that it’s his job and that he’s an actor, but the facts will stand against Redmayne. When women or queer individuals attempt to take roles traditionally held by cis-gendered men (see: athletics, leadership positions in gaming, and politics) they are met with immediate and unyielding resistance while heterosexual, white, cis-gendered men can play any role that they like. Take it from Paul Mooney. What we’re seeing more and more lately is a faux attempt to support the trans community in light of the growing suicide rate and epidemic of violence against the trans community. Look at Transparent. The series was applauded and received quite a bit of attention following its Golden Globe win (which notably followed Leelah Alcorn‘s suicide). For all the good Transparent has done, it still contributes to the problem with main actor Jeffrey Tambor leading the way, instead of, you guessed it, a real trans woman. Tambor isn’t the only cis-gendered person to reap the rewards of playing a trans character. Let’s not forget Jared Leto’s 2014 Oscar for The Dallas Buyers Club. The role-stealing is not limited to cis-men. Late last year, Elle Fanning was announced as a lead in Three Generations, a developing film about a trans man who transitions from female to male. Only time will tell if this portrayal will earn her any accolades, but if the trend continues as it has, she should be expecting some fervent applause. It’s become commonplace in Hollywood for those in the dominant population to exploit the stories of minorities as some sort of testament to one’s versatility. People live for sad stories, drama, and pain, and today there aren’t many communities that deal with those three things as deeply and often as the trans community. Rather than paying homage to trans lives, both fictional and real, by letting those who truly understand play the roles, Hollywood is content to let it challenge whichever actor is hot at the moment to play trans. While pointing out the wrongdoing, it’s also important to recognize the positive work that is being done. Tangerine, which showed at the 2015 Sundance Film Festival, has trans actors playing trans characters, because really it’s as simple as offering the roles to trans actors instead of cis actors. And, of course, we can’t forget the increasingly complex representation of trans identity by Sophia Burset of Orange is the New Black, the character played by the one and only Laverne Cox. While her screen time is far from the highest among her OITNB co-stars, Cox’s character lives both on-screen and off. On-screen she raises topics like the right to maintained hormone treatments for trans prisoners, transitioning as a parent, and transitioning while married and/or in a relationship. Off-screen Cox discusses these messages and more, like passing privilege. She confronts mainstream media’s micro-aggressions and assumptions on the daily. That’s what giving trans actors a platform can do. Their work goes beyond the camera, so if these creators, directors, producers, and studios are as interested in representing and supporting the trans community as they’d have us believe, they need to make changes. In the meantime, it’s important for us to raise hell over this issue and let the producers and studios behind this film know that it will not have the support of the community it’s attempting to pander to. Tweet up a storm. Spread the word on Facebook. Start a petition. But most importantly, elevate trans voices. There’s a difference between providing controversy that companies love and working up such a stink that they realize it’s better to cut their losses and quit. The latter is what we need, but the latter will only happen if we stay committed. Don’t let trans erasure fall on an ever growing list of awful things in this world to be (rightfully) angry about. My name is Jayson Flores and I'm a rebel. I love Buffy, I love intersectional feminism, I love to love, I love vulnerability, I love imperfection, and I love fighting homonormativity. I've decided I'm either a sane person living in an insane world, or an insane person living in a sane world. Founder of Gay on a Budget.